Nice picks! I liked Everneath, but not enough to want to continue with the series. Hope you love it a lot more though! Aww :( yea, hopefully I'll enjoy it cause those covers really appeal to me. Thanks for stopping by. I love the cover! I actually bought the first book when it came out and just haven't had the time to read it. They seem to be big hits so I'm hoping to read it soon! Yea, I would buy it based on the covers too :) Thanks for coming over. I liked Everneath and the covers are beautiful. Nice pick. Aah, nice pick. I love the covers too! You and me both, Shane. I've had Everneath for over a year now, and have not even opened it. Hope we both get started soon! Like seriously! :) Thanks for coming by. Ahhh I haven't read either of these, BUT I am going to. I'm also going to the Dark Days tour, [TOMORROW!!] which Brodi will be at! *SQUEEE* we'll probably be doing a giveaway with her book, so keep an eye out! Whoooo!! How cool for you :) Hope you have fun! I haven't started this series yet though I've been meaning to. I suppose eventually I will get around to it. I haven't read the series either but I totally want to. One of the many many series I'm behind on. Sigh. Great picks!! I hope you get to read them soon!! I loved both books. Thanks for stopping by, Shane - happy to return the follow! Everbound was amazing!!!! I loved that we got to see inside Cole a bit more. That's awesome. Glad you enjoyed it! OMG you HAVE to read these books! They are both so good! But maybe it's a good thing you haven't read them yet, just because they all end on INSANE cliffhangers. You might be better off just waiting until the whole series is released LOL! Awesome picks. I so want to find the time for this series. So do I :) Thanks for stopping by, El. I seriously need to read this series too. I hope soooo...lol Thanks for stopping by! Shhh, I own Everneath and still haven't read it!!! And the cool thing is that you can start one and go immediately to the next one. 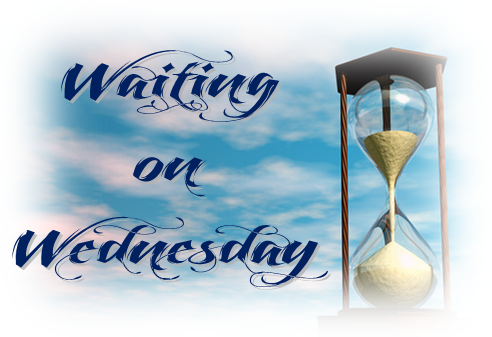 None of that awful waiting!!! I actually prefer that sometimes. Great picks, IMHO! I read the first book and I liked it okay, but wasn't totally WOW about it like so many others were. I did get the second book but haven't decided if I'll read it for sure or not. I read Everneath and enjoyed it. 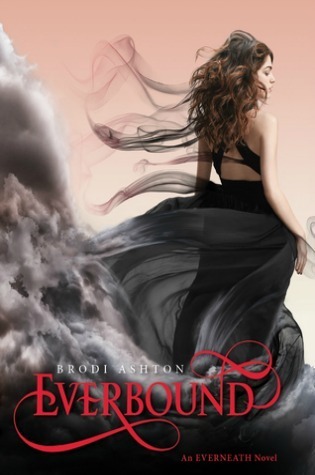 I can't wait to read Everbound. Nice choice. Thanks for stopping by my blog. Lol i love cliffhangers :) Thanks for stopping by. 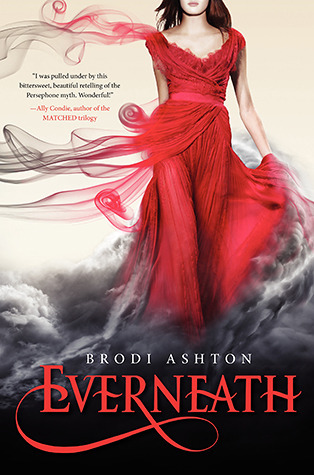 Hope you can get your hands on a copy of Everneath soon! It's an interesting book :) Thanks so much for visiting our WoW! I haven't had the chance to read either one of them and I'm really looking forward to the day I do. I have them both on my to-read list and I can't wait. Great picks! I guess we're in the same boat then :) Thanks for stopping by. I've seen this book, and series around... I think I need to make time and check it out!! I really want to start the series as well, I find the cover really good! I hope I could read them soon! Great pick! Oh, Shane! You have to read Everneath!!! That book is soooo awesome!!! I still haven´t read Everbound, but I´m sure it´s even better! !